She got her big break While auditioning for drama schools in 2005, And was chosen to play Jasmine Thomas in Emmerdale in 2005. She received critical acclaim and was nominated for the Most Popular Newcomer award at the 2007 National Television Awards.She went on to play “hard girl” Lindsay James in the BBC school-based drama series Waterloo Road, Susan Brown in a BBC Four television adaptation of the John Braine novel Room at the Top, Annie Desmond in Julian Fellowes’ four part mini-series Titanic, and Rosie in Stephen Poliakoff’s original drama series Dancing on the Edge. Coleman made her feature film debut in 2011 as the character Connie in Captain America: The First Avenger At the 2009 British Soap Awards, she was nominated for the Best Actress, Sexiest Female, and Best Dramatic Performance awards. She received a nomination for the Best Actress award from the TV Choice Awards. In May 2009, it was announced that Coleman would be joining BBC drama series Waterloo Road as “hard girl” Lindsay James.As she was 23 at the time of her casting, Coleman found the experience of playing a schoolgirl “surreal”. n December 2010, it was announced that Coleman would be playing Susan Brown in a BBC Four television adaptation of the John Braine novel Room at the Top. In 2011, she made her feature film debut in Captain America: The First Avenger. She also landed the part of Annie Desmond in Julian Fellowes’ four part mini-series Titanic, describing her character as a “cheeky little Cockney” and “the Eliza Doolittle of the ship”. Coleman provided the voice for the character Melia in the English dub of the 2011 video game Xenoblade Chronicles. In 2012, Coleman was cast as Rosie in Stephen Poliakoff’s original drama series Dancing on the Edge, which follows the fortunes of a black jazz band in the 1930s. The show aired on BBC Two in February 2013. On 21 March 2012, Doctor Who producer Steven Moffat confirmed at a press conference that Coleman would play the companion of the Eleventh Doctor (Matt Smith). Moffat chose her for the role because she worked the best alongside Smith and could talk faster than him. She auditioned for the role in secrecy, pretending it was for something called Men on Waves (an anagram for “Woman Seven”, as she would first appear in the show’s seventh series). Although originally announced as beginning her run as companion in the Christmas special in 2012, Coleman made a surprise appearance on 1 September 2012 in the first episode of the seventh series, playing Oswin Oswald, who dies at the end of the episode. She subsequently debuted as a series regular in the Christmas special episode “The Snowmen”, playing the Victorian governess and barmaid Clara Oswin Oswald; like her previous incarnation, the character dies. At the end of that episode, Coleman is seen playing a third version of the character, this time from contemporary London and named simply Clara Oswald. 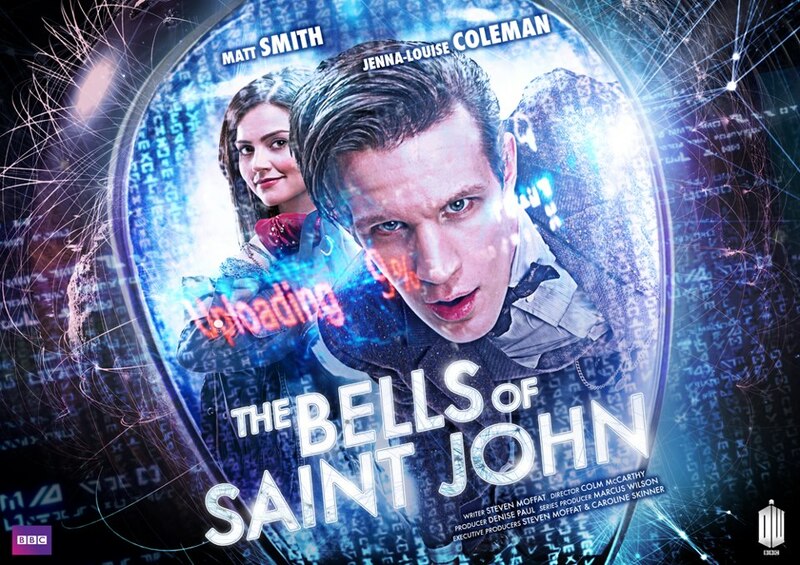 The Doctor finds the third version of her, and from the episode “The Bells of Saint John”, this version begins her travels as the Doctor’s regular companion,including after his regeneration into the Twelfth Doctor, played by Peter Capaldi, in the 2013 Christmas special episode “The Time of the Doctor.” As of 20 June 2013, she began using the name Jenna Coleman for stage credits, having previously used Jenna-Louise Coleman. She was first credited as Jenna Coleman in Doctor Who Live: The Next Doctor, which aired on 4 August 2013. She starred as Lydia Wickham in Death Comes to Pemberley shown on BBC One during Christmas 2013.